SEBRING (AUS) (Chestnut 2005-Stud 2009). 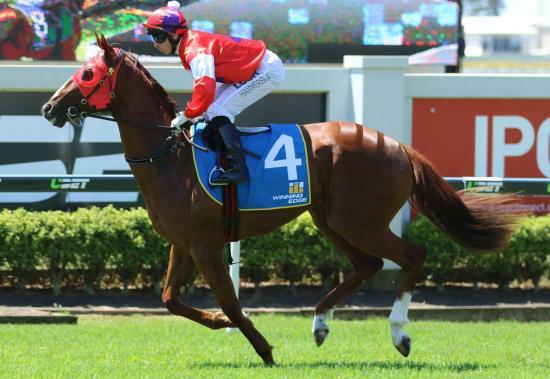 5 wins at 2, STC Golden Slipper S., Gr.1. Sire of 321 rnrs, 183 wnrs, 15 SW, inc. Dissident (ATC Randwick Guineas, Gr.1), Criterion, Bring Me the Maid, Believe Yourself, Thurlow, Clifton Red, Kiss a Rose, Scratchy Bottom, Bring Something, Sebring Sun, Typing, Pressing, Bring a Ring, Interspersed, Sebrose, SP Lizard Island, Tulsa, Sebrina, Tahni Dancer, Ulmann, Patricia Dawn, Rightoncue, Candika, etc. COOGEE COOZIFA, by Danzero. Placed in Aust. Three-quarter-sister to THE DUKE, half-sister to Moorea (dam of KEEN ARRAY). Dam of one named foal. THE DUKE (Danehill). 10 wins-2 at 2-from 1200m to 1650m, HK$28,891,500, Cathay Pacific Hong Kong Mile, Gr.1, HKJC Cathay Pacific International Mile Trial, HK-2, HKSAR Chief Executive's Cup H., Agate H., Chevalier Cup H., Deep Bay H., Hung Mui Kuk H., Ing Chun Fai P., Privilege H., American Club Challenge Cup, 2d Cathay Pacific Hong Kong Mile, Gr.1, HKJC Queen's Silver Jubilee Cup, HK-1, Cathay Pacific International Mile Trial, HK-2, Sha Tin Trophy, HK-3, HSBC Premier Vase H., Midland Realty Cup, Chinese New Year Cup H., Portugal H., Japan Racing Association Trophy H., 3d Cathay Pacific Hong Kong Mile, Gr.1, HKJC Champions Mile, Gr.1, Stewards' Cup, HK-1, National Day Cup, HK-3, Chinese New Year Cup, East Point H., HKSAR Chief Executive's Cup, 4th HKJC Chinese Club Challenge Cup, HK-3. Laser Glory. 3 wins at 1200m, 1400m, HK$2,098,350, HKJC Shenzhen H., On Ting H., Kingdom of Eternity H., 2d HKJC Ngau Tau Kok H., Mirs Bay H., Lau Shui Heung H., Sanshui H., 3d HKJC Hung to H., Chengdu H., Kolkata H., Sai Kung H., Super Fit H., Jaffe H., Broadwood H.
Belle Mia. 2 wins at 1400m, Waikato RC Newstalk ZB H. Producer. Caerleon Coast. 2 wins at 900m, 1100m, STC Truscott's Toyota H., 3d AJC Frenmore Food Distributors H., STC St Pat's Day Night Racing H., Neil Jones Consulting H.
Enjoy the Fun. Winner at 1200m, HKJC Paterson H., 2d HKJC Yue Man H., Fenwick H., Boundary Street H., 3d HKJC L'Oreal Paris H., Aberdeen H., Fa Hui H., Tin Lok H., 200 Years Citi H.
Laravissante. Winner at 1100m, BTC Carlton Draught H., 2d BTC Lyndhurst Stud H., 3d AJC Michael O'Loughlin Gift H. Producer. Chambord (Zabeel). Third Top Filly on The 2013-14 NZ 3YO Free H (1200m-1600m). 2 wins at 1200m, NZ$141,675, Cambridge JC William Inglis & Son H., 2d New Zealand Two Thousand Guineas, Gr.1, Matamata Cup, L, Ashburton RC Ray Coupland S., L, Hawke's Bay Swiss Ace Sprint H., Stella Artois H., 3d ARC Great Northern Guineas, Gr.2. KEEN ARRAY (Bel Esprit). 4 wins at 1000m, 1200m, A$455,450, in 2015-16, MRC Blue Sapphire S., L, MVRC William Hill P., 2d VRC Coolmore Stud S., Gr.1, MRC TROA National Jockeys Trust P., 4th MRC Inglis 2YO Premier, L.
SAYF EL ARAB (Drone). 4 wins-2 at 2-at 5f, 6f, Royal Ascot King's Stand S., Gr.1, 2d Phoenix Sprint S., Gr.3, Sandown National S., L, Lingfield Leisure S., L, Ripon Champion 2YO Trophy, L, 3d Royal Ascot King's Stand S., Gr.1, 4th Doncaster Flying Childers S., Gr.2, York Gimcrack S., Gr.2. Sire. MONDE BLEU (Last Tycoon). 5 wins to 1300m, Chantilly Prix du Gros-Chene, Gr.2, Newmarket Palace House S., Gr.3, Deauville Prix de Meautry, Gr.3, Santa Anita Reb's Policy H., L, 2d Chantilly Prix du Gros-Chene, Gr.2, Longchamp Prix de Saint-Georges, Gr.3, Hoppegarten Grosser Preis von Berlin, Gr.3, Maisons-Laffitte Prix de Seine-et-Oise, Gr.3, Longchamp Prix du Pin, L, Evry Prix Servanne, L, 3d Prix de l'Abbaye de Longchamp, Gr.1, Hollywood Turf Express H., L. Sire. BESTPLAN (Try My Best). 11 wins-4 at 2-to 1400m in GB and Malaysia, Haydock Field Marshal S., L, Perak TC Sultan's Gold Vase, L, Selangor TC Yang Di-Pertuan Agong Gold Cup, L-twice, Penang TC Pesta Pulau Pinang Cup, 3d Perak TC Sultan's Gold Vase, L, Singapore TC Lion City Cup, L, 4th Newmarket Rous S., L.
AOIFE ALAINN (Dr Fong). Champion 3YO in Italy in 2010 (1900m-2200m). 5 wins from 1500m to 2000m, €259,806, Rome Premio Lydia Tesio, Gr.1, Milan Premio Alberto Zanoletti di Rozzano, L, Premio Alberto Chantre, Premio Barbariga, 3d Milan Premio Pietro Bessero, L, 4th Curragh Royal Whip S., Gr.2, Milan Premio Mario Incisa, Gr.3. Producer. ADORABILE FONG (Dr Fong). 18 wins-4 at 2-from 1200m to 1750m, €328,059, Milan Premio Gardone, L, 2d Rome Premio Guido Berardelli, Gr.3, 3d Rome Premio Parioli, Gr.2, Florence Premio Toscana, L.
SLY SILK (On the Sly). 7 wins-5 at 2, Thistledown Juvenile S., L, Darby Downs Sweet Audrey S., L, Kindergarten S., L, River Downs Tomboy S., L, My Little Miss S., L.
Ohiya (Transworld). 6 wins, 2d Beulah Brent's Prince H., L, 3d Thistledown Western Reserve H., L.
WILD SHOUT (Rahy). 7 wins-1 at 2-at 1150m, 1200m, 177,348,000¥, Chukyo TV Aichi Open, L, 2d Chukyo CBC Sho, Jpn-3, TV Aichi Open, L, 3d Fukushima Baden-Baden Cup, L.
MERCHANT MARINE (Tiznow). 5 wins from 7f to 8½f, US$305,750, Belmont Yankee Victor S., L, Devil Diver S., L, 3d Belmont Jockey Club Gold Cup, Gr.1, 4th Belmont Sport Page H., Gr.3. SPANISH MARKET (Marquetry). 10 wins-4 at 2-from 5f to 8½f in Puerto Rico, Camarero Clasico Agustin Mercado Reveron, L, 2d Camarero Clasico Fantico Hipico, L.
BROWN BOY (Deep Gold). Winner at 2, Albuquerque George Maloof Futurity, L.
Melody Blue (Poliglote). 3 wins-1 at 2-from 1600m to 2100m in France and U.S.A, Chantilly Prix de la Forterelle, 2d Chantilly Prix d'Aumale, Gr.3, Deauville Prix de Psyche, Gr.3, 3d Vichy Prix Madame Jean Couturie, L. Producer. Tarot Star - Best Dynasty (Mac.) (Final Card). 9 wins-3 at 2-from 1000m to 1800m, A$128,420, M$2,384,250 in Aust. and Macau, Macau Bombay H., Kempton H., 2d MVRC CS Hayes S., Gr.3, Mitchell McKenzie S., L.
CHANGE A BABE (Time for a Change). 19 wins to 7f, US$268,080, Gulfstream Heather H., L, Allowance, 2d Monmouth Nauvoo S., L, 3d Laurel Stefanita H., L. Producer. PROMPT RETURN (Beneteau). 2 wins at 2, A$141,900, in 2014-15, VRC Maribyrnong P., Gr.3, 2d Ballarat TC Magic Million Clockwise 2YO Classic. Chimere (Soviet Lad). Winner at 2, Evry Prix d'Etrechy, 2d Compiegne Prix Ronde de Nuit, L. Producer. REACIA (Pepenador). 4 wins in Argentina, San Isidro Handicap Espirita, L, 2d San Isidro Clasico Juan Shaw, Gr.2, 3d Palermo G.P. Criadores, Gr.1, San Isidro Clasico Los Haras, Gr.2. Producer.